Forget Google’s Stadia streaming platform, the coolest gaming news to come out this week is that Nintendo is letting a Canadian indie studio create a new game in its historic Zelda franchise. The Japanese gaming giant has announced Cadence of Hyrule: Crypt of the NecroDancer feat. The Legend of Zelda (Cadence of Hyrule, for short). 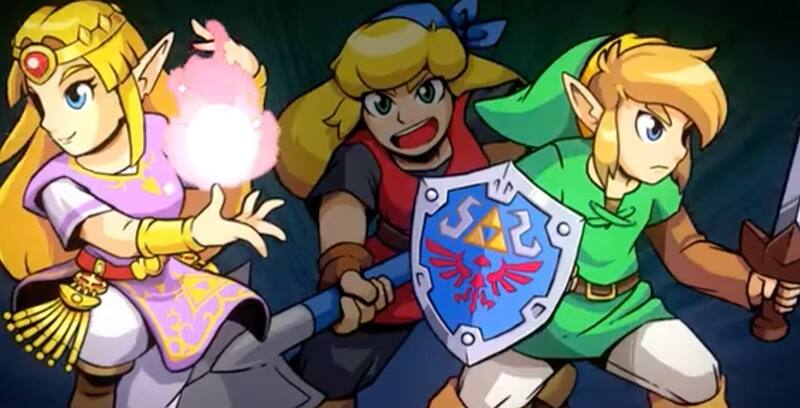 If the boisterous title doesn’t give things away, Cadence of Hyrule is a mashup between The Legend of Zelda, with series mainstays Link and Zelda both making appearances, and Brace Yourself Games’ popular musical dungeon crawler Crypt of the NecroDancer. Brace Yourself Games is based in Vancouver, British Columbia. The games features an art style that is reminiscent of The Legend of Zelda: A Link to the Past. According to a press release from Nintendo, the game will feature 25 remixed Zelda tunes, which is excellent news considering Crypt of the NecroDancer had a banging soundtrack. The game comes out on Nintendo Switch later this year. It’s worth noting that this isn’t the first time Nintendo has handed over the reins of the Zelda franchise. Back in 2001 Nintendo tasked Capcom with developing two Game Boy entries in the Zelda series, Oracle of Seasons and Oracle of ages. In the meantime, you download Crypt of the NecroDancer, which first came out on PC back in 2015, on Nintendo Switch for $25 CAD.